Chester Estes was a fine man, and perhaps an even better preacher. In his life, he wrote untold numbers of articles and sermons; and also wrote commentaries. He even did his own translation of the Bible! Now, for the people who really want to dig deep on the myth of evolution, we are presenting a booklet called “The Man from Monkey Myth,” written by Douglas Dewar. This was originally published in a magazine in 1944, and later reprinted by James D. Bales as part of a campaign against evolution. Dewar speaks the scientists’ language, as he shows their conclusions are unwarranted and untrue. Fully reformatted and searchable, you can download it by clicking the link below. Can You Bear the Light? Wouldn’t it be great to be imprisoned? To not be able to go anywhere? To not have the freedom to get up and walk somewhere? I mean, think of how happy you’d be if only you were in chains!! Okay, not really. But Paul’s example is a great one to follow. He’s imprisoned, awaiting trial, and yet he repeatedly speaks of his joy. Obviously his joy isn’t because he’s imprisoned, but he can have joy nonetheless. There’s several passages throughout Philippians that prove this point—but as they aren’t the focus of this lesson, we’ll not delve into all of them. Instead, I want you to look at Philippians 2:12-18 with me, and we will see that one reason Paul had joy was because faithful Christians are light-bearers in the world. First, Paul loves them. The word “beloved” is the noun form of agape. Literally, it is “loved ones.” Because he loves them, he praises them, and he also encourages them. Isn’t that a great example of shining like a light? When someone does something good, praise them, and encourage them to continue! Second, they were obedient to the things Paul had delivered to them from God. In other words, they were faithful to the commands of the Lord. The word “obeyed” in the original is two words put together: under and hearing. They listened to the one whom they were under (ultimately, God), recognizing Him as the Master and Ruler. Since “obedience” includes the word “hearing,” is it really possible for someone to obey God without hearing what His word says? And remember, that this is being spoken to Christians—Christians need to continue to “hear the word of the Lord,” or “study to show thyself approved unto God, a workman that needeth not to be ashamed, rightly dividing the word of truth.” If you want to shine like lights in the world, drawing people to Christ, then you have to read, study, listen to the commands of God. This goes along well with what Paul says in Galatians 6:1: “If you see a man overtaken in a fault, you who are spiritual restore such a man in a spirit of meekness, considering yourself, lest you also be tempted.” In other words, work to gain the full reward, but realize that you can indeed fall, so don’t get overconfident. Fifth, as light-bearers, those who are faithful to God’s commands, we must realize that it is God working in us. We aren’t the source of the light, God is. When we do good for others, it is God working in us. People in the world don’t see God working and blessing their lives, offering them salvation, except through His people who have the desire (the “will”) and who follow through with the work (the “do”). Just as it is said that Jesus baptized more disciples than John, yet He didn’t do it personally, but through the apostles—one way God works on the hearts and lives of people (Christians and non-Christians) is through His chosen people: faithful Christians. 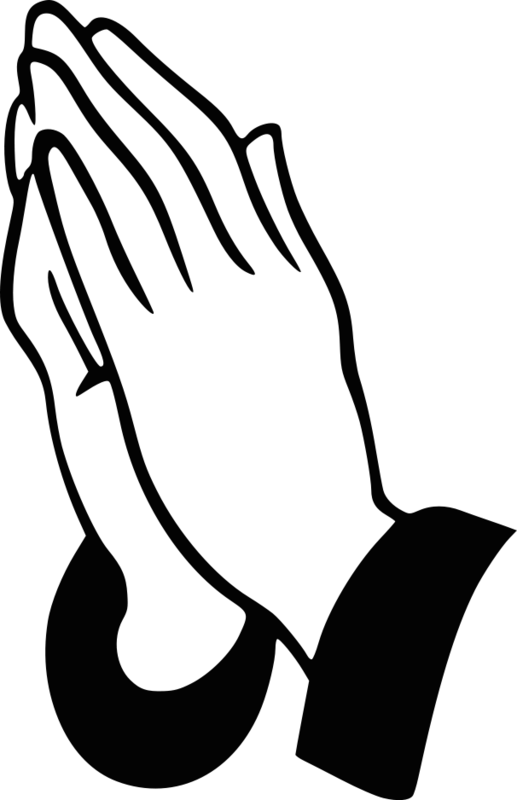 It’s a solemn responsibility and a great honor to know that God is working in us! Do all things without murmurings and disputings so that ye may be blameless and harmless, the sons of God, without rebuke, in the midst of a crooked and perverse nation, among whom ye shine as lights in the world; holding forth the word of life. It is very rare (if at all) that a biblical writer says anything in a vacuum. That is, it is very rare (if at all) that anything recorded in the Bible isn’t connected in some way to the context around it. Verse 14 is often used without consideration of its context. The principle is still valid, but there’s a purpose behind Paul’s saying “do all things without murmurings and disputings” (without whining and complaining). And here’s the purpose in a nutshell: you can’t shine as lights in the world, bearing the light of God to souls both lost and struggling, when you’re complaining. My family and I drove across the country to the east coast a couple years ago. In order to save money, we decided to drop in on some family members along the way, making use of their spare bedrooms. In each place we went, we were told we were welcome to stay (we did contact them all ahead of time, so it wasn’t a surprise). However, at one place, it was made clear to us that it was an inconvenience for them to let us stay the night. They were put out. Their attitude in helping us out was such that we won’t ever go there again. You can’t take the gospel to others and expect them to respond when you have a complaining attitude. Imagine it. You go up to someone and say, “I’ve got this great news. Wish I didn’t have to tell it to you, though.” What kind of response are you going to receive from that? I’ll tell you: You’ve lost the chance of ever reaching them with the gospel ever again. The NIV translates it as “complaining and arguing.” We snuff out our light when all that people see from us is arguing. While there is a time and place for discussing biblical topics with brethren—yes, even having disagreements and perhaps even arguing (depending on what the other person is advocating)—your public Facebook feed probably isn’t the place for it. Some people’s Facebook profile is nothing but calling out or condemning people in the church! And one such person, when asking a friend to study the Bible with him, received a rejection because all he saw from this man was arguing with his own brethren! We need to be concerned about how we are viewed by non-Christians. We must live blamelessly—live in a way that we can’t be accused of maliciousness or evil intent. We must live harmlessly—doing no damage or injury to others by what we say or do. We must show ourselves to be children of God. Jesus said that “by this shall all me know that you are my disciples: if you have love one for another.” He also included a similar idea in His prayer in John 17: “that they may be one…so that the world can see that you have sent me.” A requirement for elders is that they “must have a good report from those outside” (1 Timothy 3). We become blameless, harmless, children of God, and we shine as lights in the world when we have the proper attitude and use that godly disposition to show the love of Jesus Christ to others! The world is in darkness, and God shines forth, giving light to those lost and stumbling in sin through us. But Paul closes this thought with a reminder that it isn’t just the attitude, it must include the Scriptures as well: “Holding forth the word of life.” We keep our lives aligned with the word of God, and when we share the love of Christ with others, we make sure to point them to the same thing: the engrafted word which is able to save their souls (James 1:21). So that I may rejoice in the day of Christ, that I have not run in vain, neither labored in vain. Yea, and if I be offered upon the sacrifice and service of your faith, I joy, and rejoice with you all. For the same cause also do ye joy, and rejoice with me. Ultimately, God through Paul is saying that true light-bearers will receive the eternal reward. It will be a day of great rejoicing on different levels. First, Paul himself would rejoice “in the day of Christ.” He would rejoice to see familiar faces in that great resurrection reunion. His rejoicing was because he would be reunited with friends and loved one, but also that his work among them was not in vain. Three years ago, Jesse and I took in three Indian boys in order to keep them out of “the system” when their parents went to jail. It was a rough couple months for us, as those boys hadn’t been disciplined, hadn’t been trained, didn’t care about schoolwork. But we labored with them until their parents got out of jail. Earlier this month, I got a message from one of the boys thanking us for everything we did for them, and how the time with us is a bright memory for them. When you hear things like that, you can’t help but rejoice that your labor was not in vain—that the work you did had an impact on the lives of others. It’s no wonder Paul said he would rejoice in the day of Christ! Second, Paul would rejoice that he had the smallest part in helping them—and that they had the larger part to play. 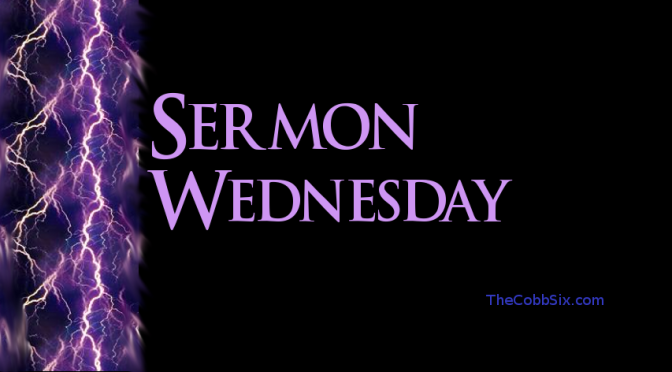 Literally, Paul says “if I be poured out on the sacrifice…” In both Jewish and pagan sacrifices, the drink offering, which was poured out, was the smallest part of the offering. Paul said that the “sacrifice” (the main part of the offering) was their faith. Paul knew that bringing the gospel to them, working with them, and teaching them was important—but their final salvation ultimately rested on their faith put into action. Paul’s rejoicing came as a result of knowing that the little work he did with them led to their own personal faith and works in the Lord as light-bearers. From the time I was a little kid, sitting in Sunday school, I sang the song “This little light of mine.” (sometimes “Christian light” or “gospel light) In that song, we try to teach the children to let their lights shine for Jesus. “Let your light so shine before men that they may see your good works and glorify your Father which is in heaven.” We try to teach this principle to the children, but we might want to start realizing it applies to us adults as well. If we let God’s light shine through us by our obedience, our love, our attitude, and our actions, then we will make it to heaven—but more than that, we will be able to rejoice because of others who are there as a result of our labor with them. I’ve known Michael Shank for the better part of a decade, and we both “cut our teeth” doing fill-in preaching for the same little congregation in Southern Illinois. So, it was with great pleasure that I wrote the first real review of his first book, Muscle and a Shovel (you can read the review/article at BrotherhoodNews.com). A few years have passed, and God has used Muscle and a Shovel in ways far beyond what I–or anyone else–could have imagined. Soon after it began to spread through the brotherhood, Mike began work on his second book, When Shovels Break. It has taken a few years, but it’s finally ready. And let me tell you this: It is powerful. 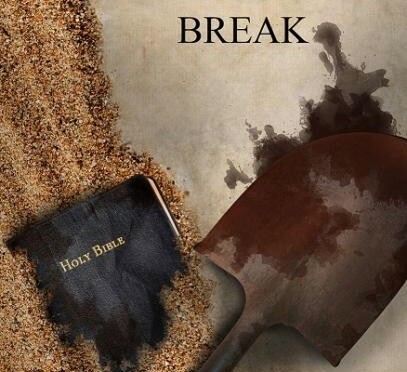 While Muscle and a Shovel was written for the non-Christian, to help show them the biblical path to life in Christ, When Shovels Break was written for the struggling Christian, the wayward Christian, the unfaithful brother or sister in Christ. It is a stirring testimony that no matter what you have done, no matter how far you have fallen away from Him, God is always ready to take you back and forgive you. But there’s more to When Shovels Break than that–a LOT more. When Shovels Break acts as a sequel to Muscle and a Shovel in many respects. It follows the life of Michael Shank and his wife where the previous book left off. But it also introduces us to one of Mike’s oldest friends, a man named John. John and Mike had a lot in common: both came to Christ around the same time (both converted by “Randal”), worked in the same industry, lived in the same neighborhood, even liked the same kinds of food. In fact, John and Mike were as close as two friends could be. The book begins [and this isn’t much of a spoiler, since Mike posted the first chapter on Facebook months ago] with John distraught over his sinful life, absolutely certain that he’s lost forever, not seeing any way of hope, and Mike trying to help him. Then John lifts the gun to his head. What could bring a man–a baptized believer in Jesus Christ–to such desperation that he thinks the only way out is to kill himself? Could God ever take him back after all the sins he’s committed? After he’s insulted his Savior by going back headlong into a life of sin? Muscle and a Shovel was written for non-Christians, but it became a great tool to teach faithful members of the Lord’s church that evangelism doesn’t have to be hard! It gave a clear and simple method to help show others God’s path to salvation. 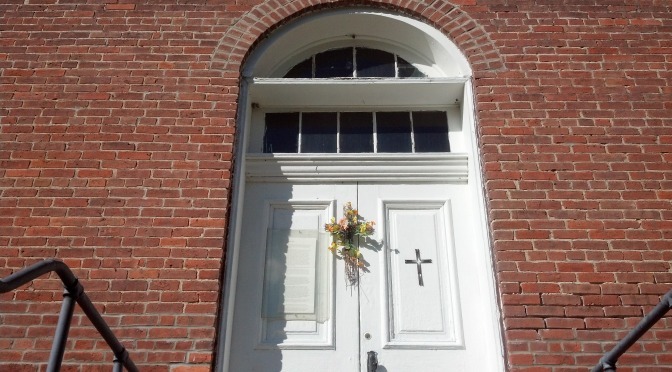 It served to energize once-inactive Christians into active service for their Lord. It helped remind experienced brethren of what they were fighting for, and the Lord’s church has become stronger as a result of God’s use of that book. When Shovels Break is also a great tool for members of the Lord’s church. Throughout the story of Mike and John’s life, you will see very clearly the importance of having brothers and sisters in Christ who care. You will see the damage that can be done through a brother’s (or a congregation’s) indifference and the discouragement it can cause others. You’ll also probably chuckle as Mike tries to show the Jule Miller Filmstrips to a bunch of drunks. I surprised Mike when I told him that I thought the final dozen or so chapters were just as good–if not even better–than the story itself. But I stand by it. I’m not a prophet, but I believe the part of the book that will have the most impact within the church is where Mike gives the results of a survey he conducted, interviewing 400 people who have left the church. It is an eye-opener–and it shows that the church itself must take at least part of the blame for their departure. Even though I was already privy to part of the story (a side benefit of being friends with Mike since before Muscle and a Shovel), I got goosebumps reading through it. Mike writes with a clarity and emotional power that makes you instantly identify with his struggles. You hurt when he hurts. You get frustrated when he is frustrated. And you rejoice when he rejoices. And you will never look at the Ego Board the same way again. 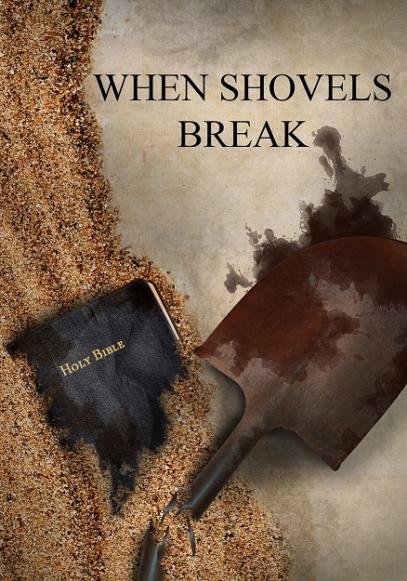 To get your own copy of When Shovels Break, you can order direct from Mike Shank (or if you want it in Kindle format, it’s available here). These words were spoken by Major General Milton Foreman about Sheriff Melvin Thaxton of Williamson County, Illinois, back in 1922. You see, for days, everyone knew tensions were rising in Herrin, IL, then the biggest city in the county. One of the mines had brought in non-union men (“strikebreakers”) to work during the UMWA strike. The mine had brought in hired guns as “guards” who terrorized people who drove down the roads that crossed over mine property. The union miners had robbed stores of guns and ammunition, saying “charge it to the union” as they left. The governor was receiving telegrams from concerned citizens about the events, but when the Major General of the Illinois National Guard contacted Sheriff Thaxton, the sheriff said, “I have everything well in hand.” And he added that there was no need for troops to be sent. Even as June 22, 1922 came, and literally thousands of union miners and sympathizers attacked the mine, took the miners and guards prisoner, dynamited the mine equipment, and led the men at gunpoint to the city, the Sheriff did nothing. In fact, he was nowhere to be found, having gone to a neighboring county to investigate a shooting (which wasn’t even in his jurisdiction). See, the Sheriff knew what was going on and did nothing to stop it. He either supported the actions (my personal guess) or he was to big of a wimp to stop it. You might wonder at this point why I’m even mentioning all of this. I’ve noticed (and I’m sure you have too) that there are many Christians who fit this same description. They have very little ability to fulfill their role as Christ’s messengers and they have no guts. I don’t say this to sound demeaning towards these people. I really don’t. I’m talking about people who have been Christians for years, but who couldn’t tell someone the plan of salvation and prove it from the Bible if their life depended on it. I’ve heard of preachers who passed out a worksheet to the congregation asking for this exact information. The overwhelming majority of the congregation couldn’t tell you where the Bible says to hear, or to believe, or repent, or confess, or be baptized. These Christians have very little ability–because of their own choice. The writer of Hebrews chastised people like this because they should have been able to teach others–instead, they needed someone to teach them again! We’d think there was something wrong if a baby was born and 15 years later, he was still a baby, unable to walk, to talk, or to chew food. But for some reason, we give people a pass when they remain spiritual babies for 5, 10, 15, or more years! This ought not be! Another great fault of many Christians is that they have no guts. Obviously, the ones who don’t know how to even show something as basic as the plan of salvation have good reason to be afraid to engage in spiritual discussions with others. But what about those who do know the Scriptures? Have you noticed that in this modern age, many Christians are more concerned about how others will react than they are about their eternal judgment? We see lost and dying souls everywhere we go, but we don’t want them to think that we’re “religious nuts” or “Jesus freaks.” We don’t want to potentially hurt their feelings by pointing out that they’re going to hell because they’ve not obeyed the gospel of Jesus Christ. We’ve got the greatest news in the history of mankind, yet we’re more willing to tell someone about low gas prices than we are to tell them about that which can save their soul! In short, several Christians have no guts when it comes to spreading the gospel. My friends, we’ve got a job to do. Whether we feel prepared for it or not, we still have a job to do. We can either go into the job completely unprepared and fail miserably, or we can prepare ourselves. If we are unprepared; if we do not cultivate the ability to carry out the work of the Lord, it is our own fault. It takes guts–it takes courage to show others that they are living in sin and what the consequences of their continued sin will be. It takes guts to be active in the Lord’s work. It may not be easy, but it still must be done. When you stand before the Lord on Judgment Day, will He say “well done, good and faithful servant”? Or will His words be more like “I think you have very little ability and no guts”? Note: The above story is true, and the quotations come from an Associated Press story printed on June 24, 1922 in newspapers across the country. The Church Used to Grow. So What? I’ve been one of the hundreds of preachers who have tried to guilt people out of their spiritual lethargy by saying In the 50s and 60s, the Lord’s church was the fastest growing religious body in the United States. (Not-so-subtly implying that they aren’t doing much for the Lord). I’m one of the hundreds of preachers who have bemoaned the fact that the church isn’t growing across this country (and locally) like it did some five decades ago. Usually, when that statistic is thrown out there, it’s used as evidence that members of the church (overall) have stopped caring about evangelism. It’s used to show that the Lord’s church isn’t as dedicated as they once were. It’s pretty much always used as a comparison. And I think we’ve made a mistake by using it that way. The fact is, we don’t live fifty years ago. We live now. It doesn’t matter today whether the church grew or shrank fifty years ago. What matters today is what we as Christians are going to do now. Bemoaning the fact that the church isn’t growing like it used to isn’t going to encourage growth today. If we are going to use past growth as an example or a tool to help the church, we need to stop being so negative with it. We say The church used to grow fifty years ago. But what the members here is You guys are worthless compared to the Christians from fifty years ago. We say The church was baptizing hundreds upon hundreds back in the 50s and 60s. But the congregation starting thinking, What are you trying to say about us? If you, as a preacher or a member, want to tell other members that the church used to grow five decades ago, then you need to use it in a positive way. The church experienced great growth in the United States in the 50s and 60s, so there’s no reason for us to get downhearted–it can be done! Let’s get to work! The church was the fastest growing religious group in the United States, and we can make that happen again! The church grew by leaps and bounds, so we know that there are still people who will respond to the truth. It’s time to go find them! It’s high time we bring a positive message that growth is possible and then get out there and do it! I don’t know about you, but I’m ready to make the growth of the Lord’s church in the 50s and 60s look pitiful by comparison! Let’s all work together and make it happen. The Lord Jesus Christ deserves no less!